Is it just me or do you need some serious motivation to regain your momentum this fall? I mean, I’m gonna blame it on my stage 4 lumbar disc herniation with a large order of debilitating pain, a side of limited mobility and a sprinkle of drugs that make my head a bit foggy in the morning…what’s your excuse? Ha! KIDDING! No matter what your reasons (and we all have ‘em) summers just have a way of throwing us a little off track of our routines. 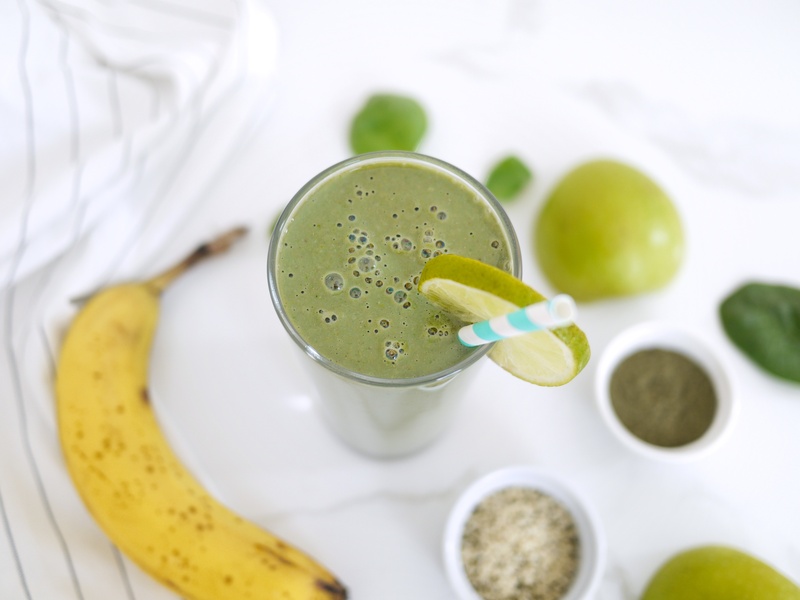 So, in honour of hopping back on your morning smoothie routine this fall (or at least having a few easy smoothie recipes up your sleeve for when you’re ready) I’m sharing three super-simple smoothie recipes to tempt any tastebud. 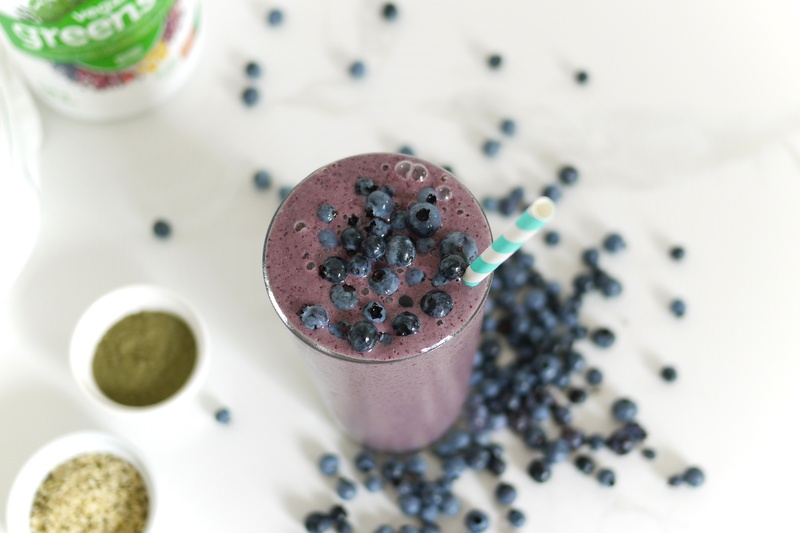 They’re so easy and still FULL of nutrient-dense goodness with every slurp. 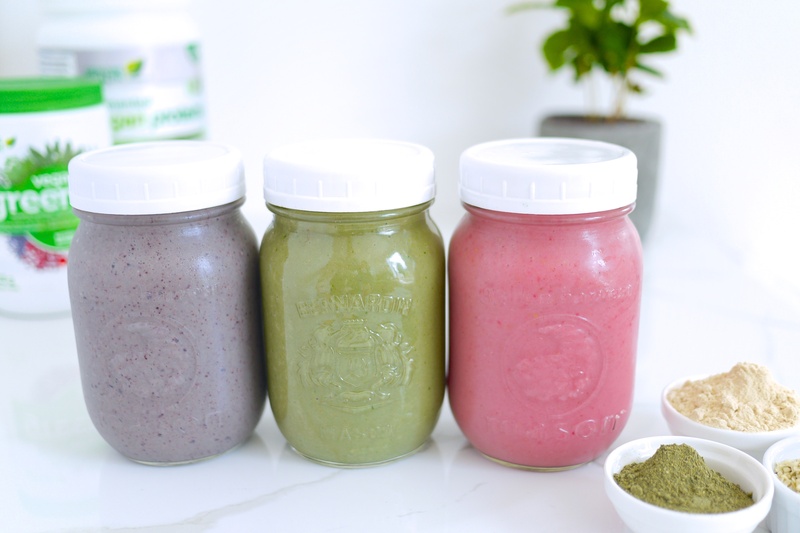 In times like this, when my fridge is not fully stocked with super foods from every nook and cranny of the health food store, I can still give my smoothies a super food boost with the help of a few of my go-to Genuine Health products. 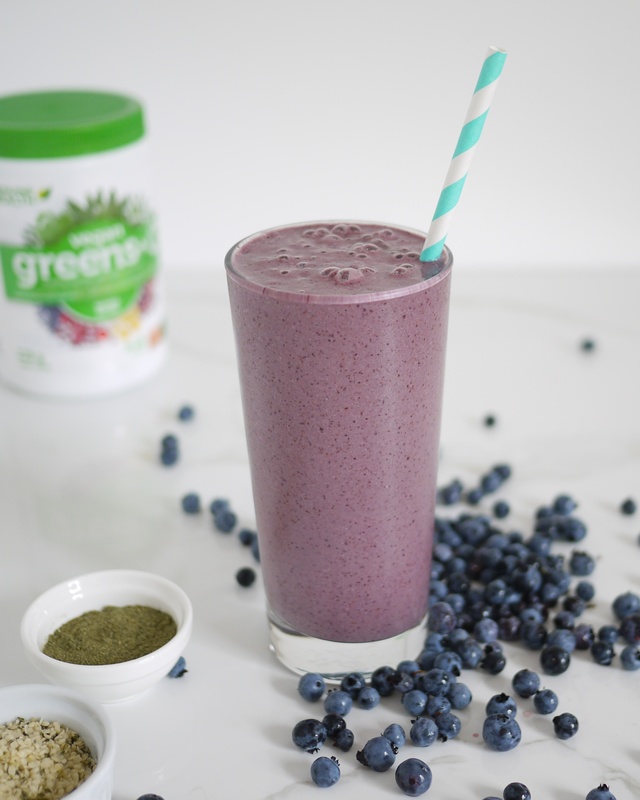 Let’s face it, most of us don’t keep a stash of alfalfa, spirulina, and milk thistle seed extract…am I right? I’m leaning heavy on Genuine Health’s vegan greens+O these days because it has 23 different awesomely healthy plant nutrients to help create more alkalinity in my body (lord knows I need to it to reduce that inflammation in my back). And sometimes I like to add a bit of fermented vegan proteins+ when I don’t have an easy plant protein on hand. Genuine Health’s plant-based protein powder is fermented so you can say goodbye to any post-plant-protein-powder bloat. Plus, I’m all about getting enough absorbable protein to help speed my body’s healing. So, let’s get to the fun stuff shall we? 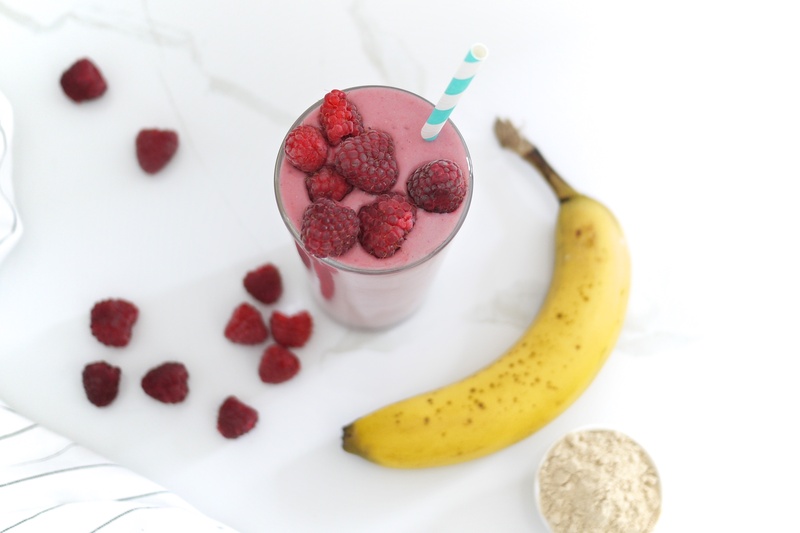 First up, who doesn’t love a good lip-smacking raspberry smoothie? I, ingeniously, called this the Red Raspberry Smoothie. If using all frozen fruits, you might want to add more water to achieve your desired consistency. Here’s another easy-peasy recipe for those of you who have been dying to get your green on this fall. It’s sweet and delicious and I’m keeping it even simpler by calling it Greens Apple. Add extra water to achieve desired consistency if necessary. And to make sure I could show you how easy it is to have a perfectly purple blueberry smoothie that still has all sorts of green power in it, I give you: Basic Blueberry. Cause it’s basically amazing. If too thick, add a bit of extra water to achieve desired consistency. Hopefully these recipes help you get back into the swing as they’ve been helping me. You know I take my supplement recommendations seriously and I don’t join forces with just any health food brand. I really believe in Genuine Health because they have lead the charge in super food greens powder for over 25 years, their products are backed by credible research and always include clinically-proven ingredients to help #LoveHowYouFeel. If you want to find out more about the various blend of ingredients in vegan greens+O, vegan fermented proteins+ or any of their other products like their probiotics (which I’ve written a blog about here) check out them out here. And when you’re ready to get your hot little hands on some of your own super food supplement goodness, check out where you can find some in your area by clicking here. Hope you enjoy these recipes and that things are smoothie sailing for you this fall. (I may be injured, but I’m still as corny as ever). This is a sponsored post. I take my recommendations seriously and am proud to have partnered with this brand that promotes health and wellbeing.